Today, Swiftkey introduced what it is calling “Swiftkey Hub” through its beta channel, along with the early stages of testing of a collaboration with Dashlane to help provide you with easier password filling when needed. 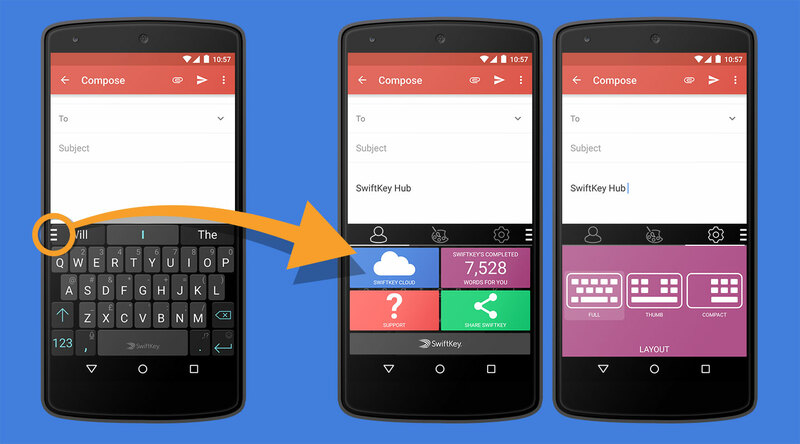 Both new features are a part of the latest beta, which can be grabbed through the official Swiftkey beta group. With Swiftkey Hub, users get easier access to the keyboard’s best features and settings. The Hub lives as a hamburger menu in the top left corner of the keyboard, that when pressed, opens an overlay that gives you access to the Swiftkey Cloud, themes, and other settings, like keyboard resizing. This new Dashlane integration is only available to beta testers who also have Dashlane installed.